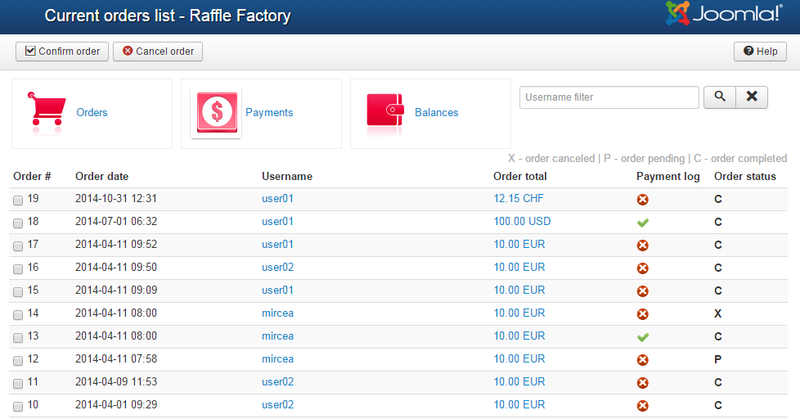 Raffle Factory offers webmasters multiple revenue streams that can be managed with ease from backend. For an in-depth documentation regarding the available payment items and gateways please visit this page. Once you configured the payment items and enabled at least one payment gateway, users will be able to add funds to their account in order to purchase these items. The Payments page displays a list of all orders that have been processed by the gateway and with payments received by the webmaster. Multiple details regarding each payment are available on this page such as the amount paid, payment date, user, order number, and more. 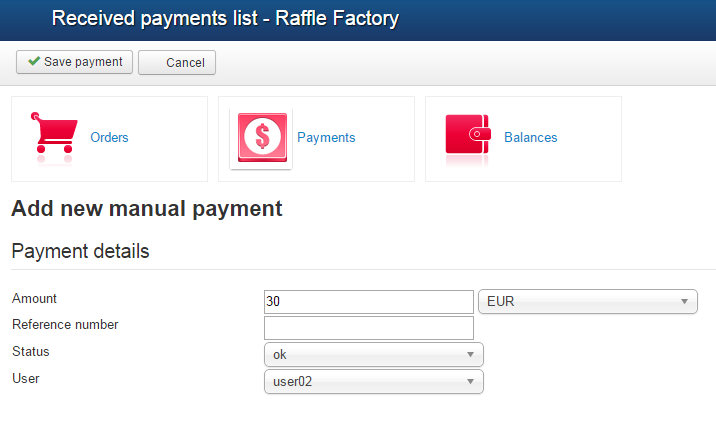 A Filter is available that helps you find payments made by a specific username. The Orders page displays a history of all orders placed on your website. Order status can be manually changed by the webmaster when needed, (X = order canceled, P = order pending, C = order completed) by simply checking one order and click on Confirm order or Cancel order. Clicking on a payment amount will display details regarding the items bought with that order. You can view and manage funds balance of every user from your website by going to Balances page. In case a user sent a withdraw funds request, a Pay Now button will appear on the Request withdrawal column, clicking on it will allow you to send the requested amount to his PayPal account. 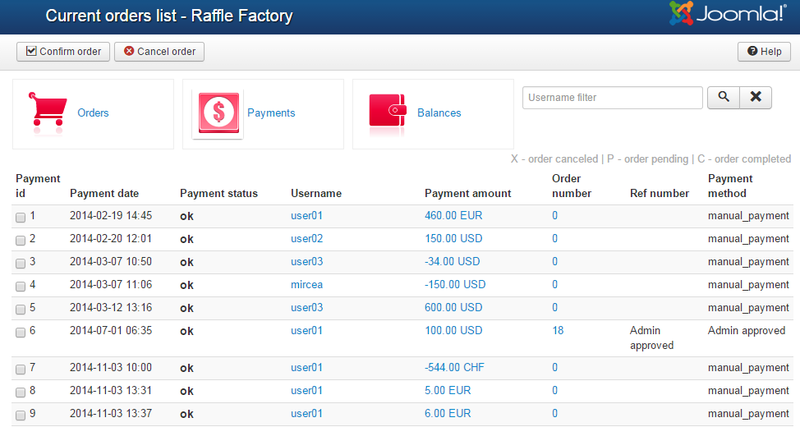 Clicking on the Add funds button found at the top of the page will let you add a manual payment to a specific user. In case you need to decrease the funds of a user simply add a negative number on the Amount field.